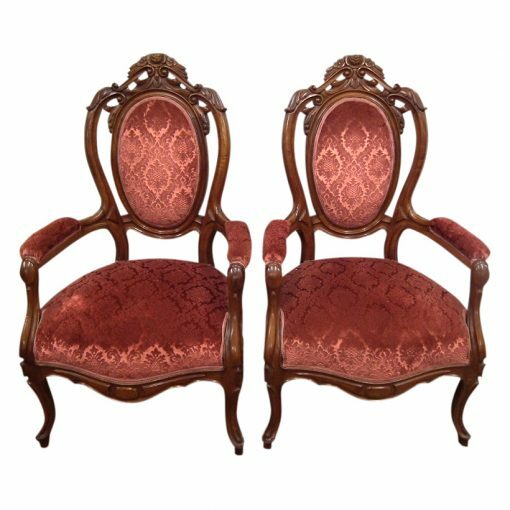 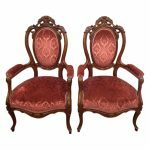 Circa 1870, pair of mid Victorian carved walnut armchairs made in Sweden. 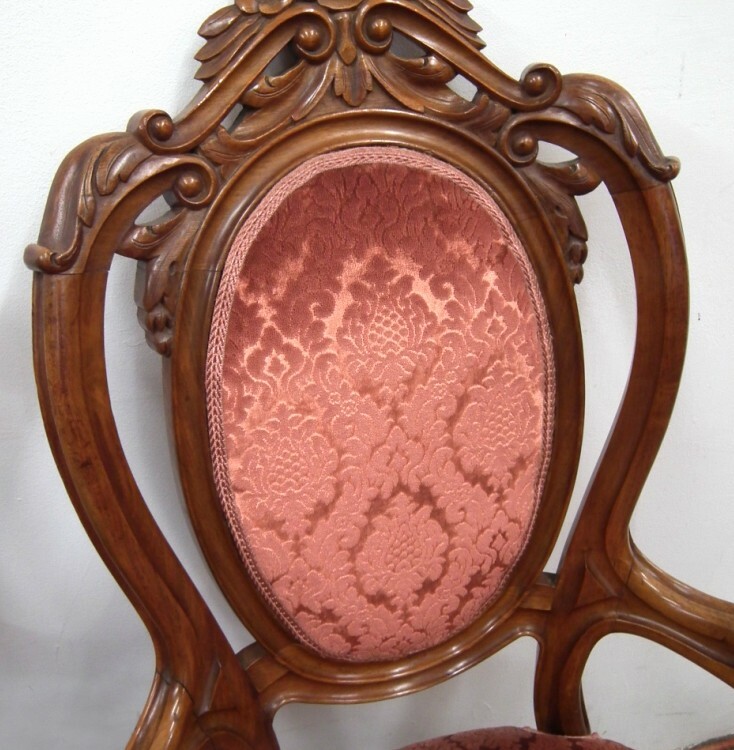 The elaborate oval backs have open foliate carving. 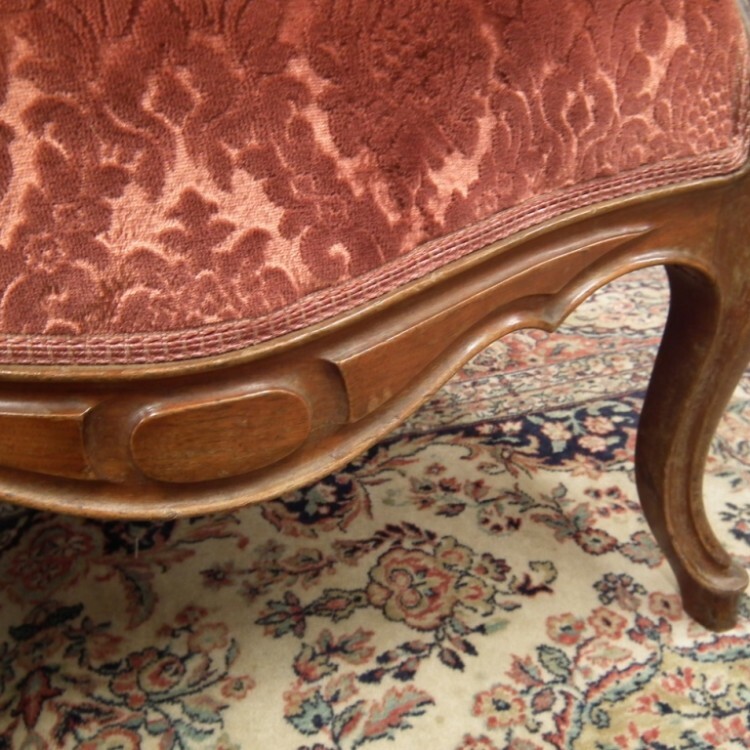 The centre panel is upholstered, as is the seat and the arms. 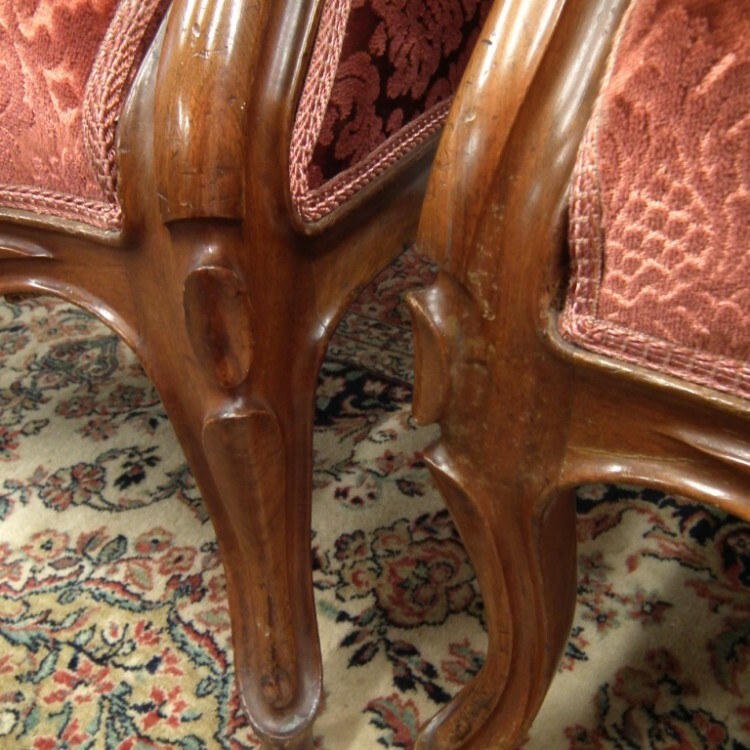 The arms are also carved. 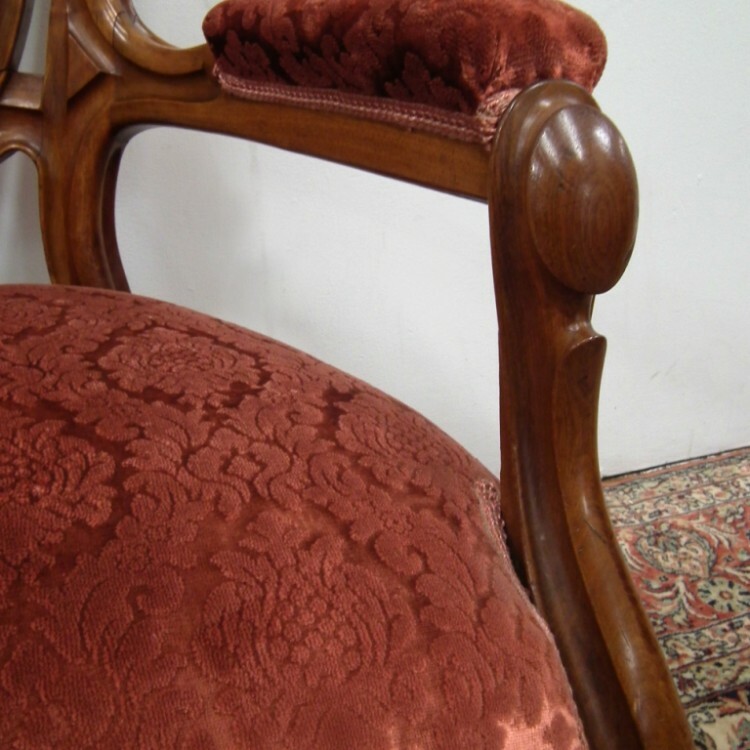 There is a simple apron below and the chair stands on cabriole legs at the front and turned swept legs at the back. 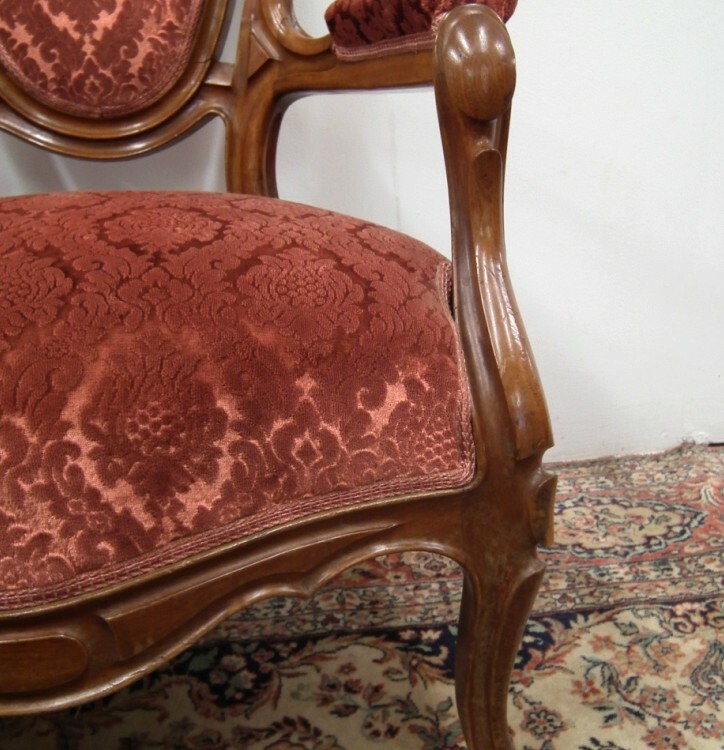 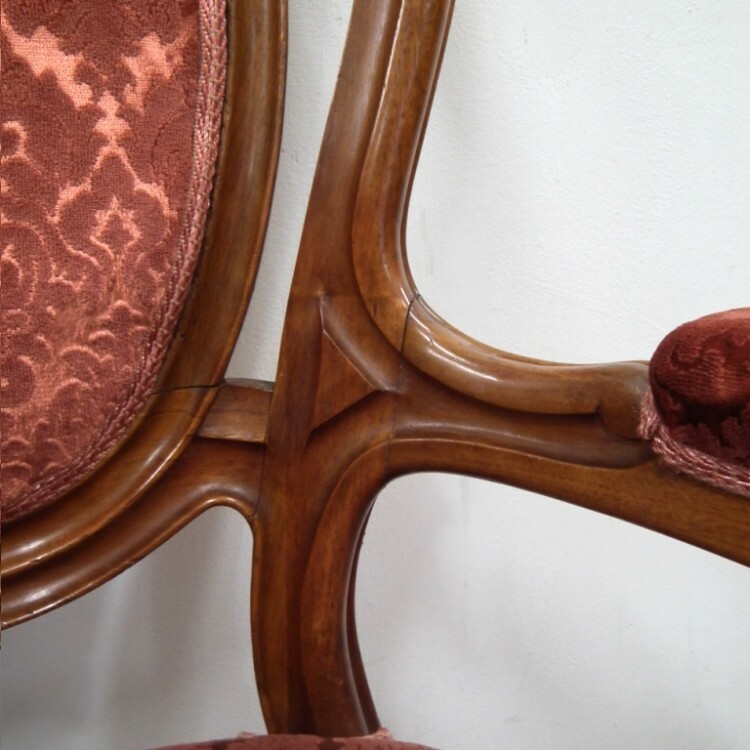 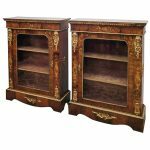 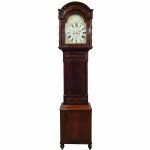 The chairs retain the original colour and patination, and are excellent quality and condition.